A rumor is rocking the internet right now, one that is not altogether surprising, but sure enough interesting: according to digital creation studio PCB Productions' credits page, SOCOM 4 is in production by Zipper Interactive, and Syphon Filter 5 by Sony Bend. Both series are known to have dabbled in co-op, and very successfully at that. 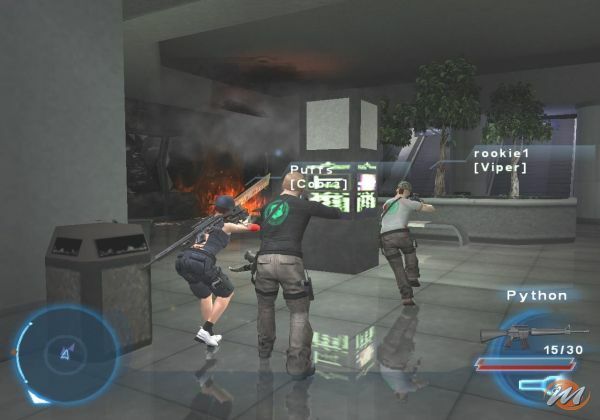 SOCOM: Combined Assault featured a full campaign playable with four players online and via LAN, as well as instant action modes. 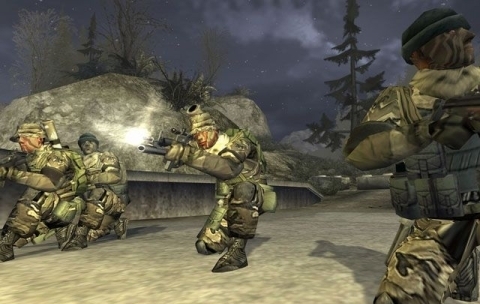 The upcoming PSP title SOCOM: Fireteam Bravo 3 is expected to provide similar co-op action. At this point, we know that Slant Six Games -- the studio that picked up the reins when Zipper moved on to the upcoming 256-player M.A.G. -- is busy with SOCOM: Fireteam Bravo 3, and hopefully still hard at work fixing the rough-edged SOCOM: Confrontation. One must wonder: maybe PCB Productions mistook the title? After all, there have been two console iterations since SOCOM 3 (SOCOM: Combined Assault and Confrontation)... However, PS3 Center notes that the credits page in question was updated with SOCOM 4 within the last year. It's a safe bet that Zipper has a new SOCOM on the horizon, one that would steal M.A.G. 's thunder if it were let out of the bag. Syphon Filter: The Omega Strain being the last console title for the series -- and the only one for the PlayStation 2 -- makes the notion of a new Syphon Filter a no-brainer. Sony Bend having just wrapped up three excellent PSP games (Syphon Filter: Dark Mirror, Logan's Shadow/Combat Ops...and Resistance: Retribution), it would be a huge disservice to gamers if Sony did not have this incredible studio hard at work on another blockbuster, and Syphon Filter 5 fits that bill. Since the rumor went live, PHB has removed the entries from their credits page...which is an affirmation of sorts. 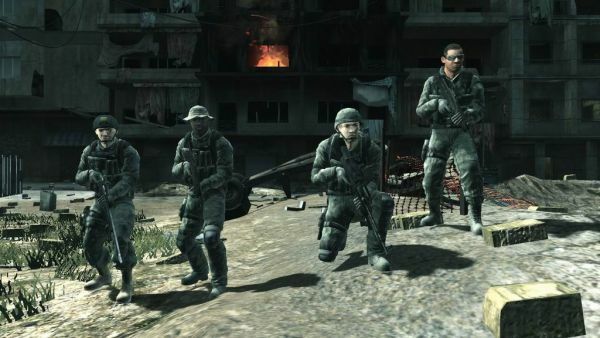 Until we see an official announcement, however, it's pure speculation that we may see some more top notch PlayStation 3-exclusive co-op action in the next year. Page created in 0.7753 seconds.